Like Frederick Wiseman’s “In Jackson Heights,” Boston native Betsy Kalin’s documentary “East LA Interchange,” which won the best of festival jury award this year at the Arlington International Film Festival, takes an urban neighborhood and sees it as a microcosm of social and economic change in the United States. Boyle Heights, in Los Angeles, was once the largest settlement of Jews west of Chicago and has long thrived as a multicultural neighborhood. Now home to many Latino working-class families, it’s a center for Mexican-American culture. Though it survived the construction of the title highway juncture, the community now faces a greater threat — gentrification. The voiceover narration by Danny “Machete” Trejo tells the story cogently. 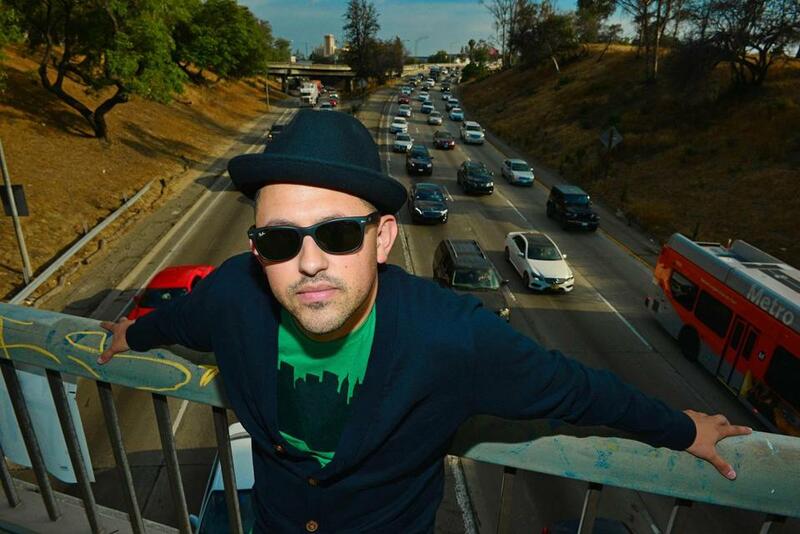 “East LA Interchange” screens on Oct. 30 at 6:35 p.m. at the Capitol Theatre in Arlington. Kalin and associate producer Ruby Gómez will be present for a Q.&A. after the screening. Courtesy of the Brattle Film Foundation. Antonio Campos’s recent film “Christine” tells the story of Christine Chubbuck, a reporter for a Florida TV station who committed suicide by shooting herself during a live broadcast. 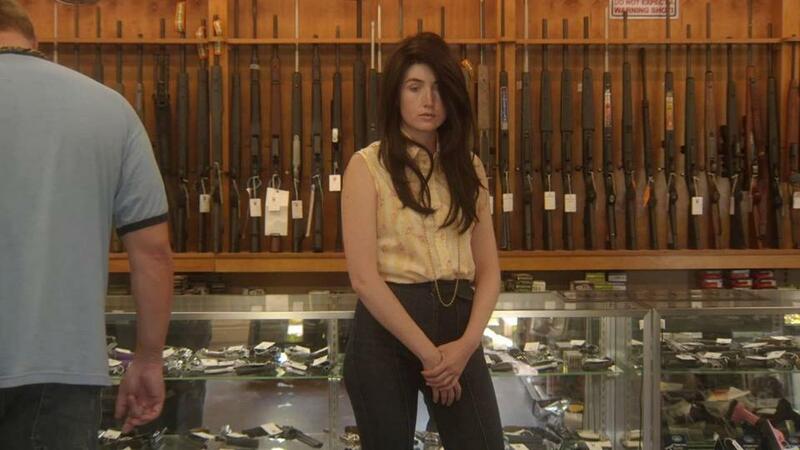 In “Kate Plays Christine,” meta-documentarian Robert Greene (“Actress”) shows how an actress, Kate Lyn Sheil, prepares to play the role. But in what film? Apparently the one Greene is making, a documentary about an actress preparing for that role in a film about an actress preparing for that role. . . . This reflexive conundrum is further complicated by Greene’s stirring of irresolvable issues of fiction versus fact and the ethics of depicting such a damaged life. “Kate Plays Christine” screens Nov. 4-6 at the Brattle Theatre, Cambridge. The Trump presidential campaign seems like a no-brainer topic for liberal gadfly and documentary provocateur Michael Moore. And sure enough, he has come through with a film on the subject just a couple of weeks before the election. But this is not the same Moore who stridently and often hilariously has put down icons of the right in previous films. In “Michael Moore in TrumpLand” he seeks to “Make America Sane Again” by performing his one-man live stage show before a tough crowd — committed Trump supporters filling the seats of the Murphy Theater, in Wilmington, Ohio. Does Moore span the political abyss and find common cause by means of humor and empathy? At this point they might be the only methods that do. The Coolidge Corner Theatre, Brookline, will screen “Michael Moore in Trumpland” on Nov. 3 at 7 p.m. Moore will appear after the screening, via Skype, for an audience discussion. “Michael Moore in Trumpland” will also be screening at Waters Edge Cinema, Provincetown, Nov. 4-6, and Images Cinema, Williamstown, Nov. 3-5. When did cashiers at supermarkets stop asking if you wanted paper or plastic? In case they do ask you, the right answer is “paper.” And if they don’t ask you, insist that they offer the choice. Craig Leeson’s “A Plastic Ocean” shows the consequences of our cavalier attitude to the disposal of environmentally baneful packaging and other plastic products. Initially Leeson wanted to make a film about the blue whale. Instead he found the ocean full of this non-biodegradable waste, 8 million tons of which ends up in the world’s oceans every year. So he spent four years filming in 20 locations bringing images that are sometimes beautiful but bode ill for the future of the planet. Fortunately, there are things people can do about the crisis beyond just brown-bagging it at the grocery store. “A Plastic Ocean” screens for free on Nov. 1 at 6:30 p.m. at the Jane Perkins Theater, Newport, R.I. A discussion follows the screening, moderated by University of Rhode Island professor Dennis Nixon, with a panel of maritime and environmental experts. What else can we worry about going wrong with the environment? How about palm oil. In Indonesia, developers are burning down rain forests to make room for plantations to produce it. “Before the Flood” shows how such destruction plays a major role in the increase of carbon pollution in the atmosphere. Directed by Fisher Stevens, it was produced by and stars Leonard DiCaprio; also on hand are tech mogul Elon Musk and Pope Francis. In fact, man-made fires in Indonesia spew more carbon into the air on a daily basis than the entire US economy. All this for palm oil, a ubiquitous ingredient in processed and other foods and a source of biodiesel fuel. It’s big money. You can fight back by tuning in when the film is broadcast globally in 45 languages in 171 countries on the National Geographic Channel on Oct. 30 at 9 p.m. — timed to air just before the November elections. A scene from the 2016 documentary ”Newtown,” directed by Kim A. Snyder. Dec. 14 will be the fourth anniversary of one of the worst mass killings in US history, when a deranged young man with an arsenal slaughtered 20 children and six adults at the Sandy Hook Elementary School in Newtown, Conn. Despite all the other horrible shootings that have happened since, it still boggles the mind. 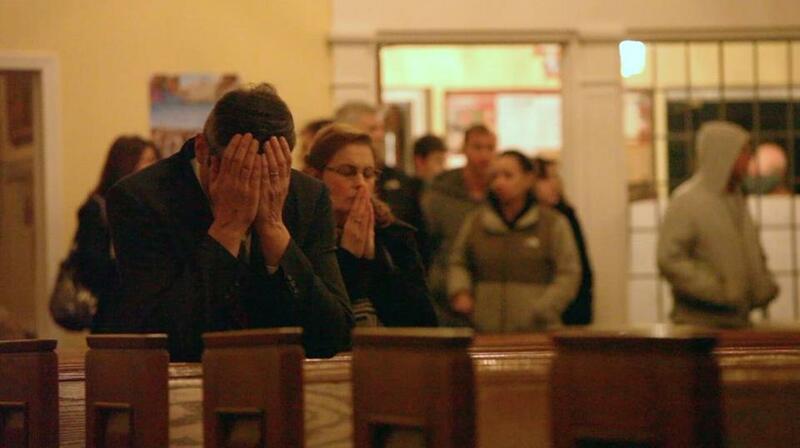 Kim Snyder’s documentary “Newtown” slaps us in the face with the memory of that event. The film consists of news footage, home movies, and interviews with people who were there. Some questions are answered — for example, a doctor explains why there were so few wounded victims, describing what three rounds from an assault rifle do to the body of a 7-year-old. But not the obvious ones: Why does this keep happening? Why isn’t anything being done? “Newtown,” screens on Nov. 2 at 7:30 p.m. in cinemas across the country, including the Regal Fenway and numerous suburban locations.